Hardshell case stores and prevents tangled earbud cords and earpiece damage. Rubberized, cushioned interior offers full earbud protection. Earbuds not included. 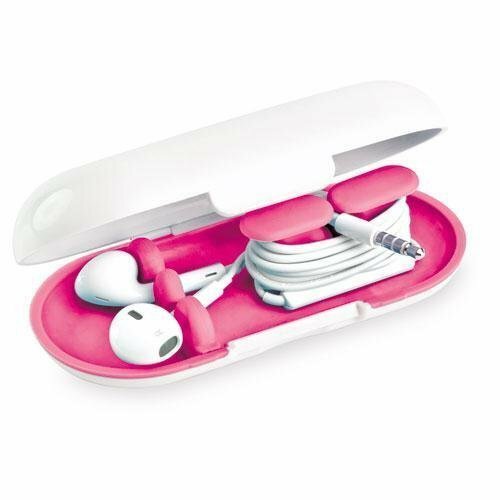 For Use With: Earbuds; Accessory Type: Protective Earbud Case; Color(s): Pink. Hardshell case to store earbuds and prevent tangled cords and earpiece damage. Rubberized, cushioned interior offers full earbud protection. Fits in most in-ear headphones/earbuds.